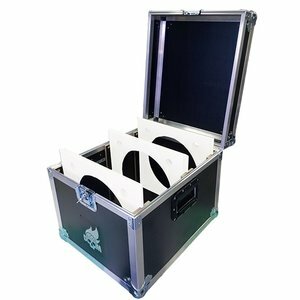 Transport case for your speakerkits. Easy to handle and safe storage. Up to three speakers. Made of light weight PP material. Many Box of Doom users have at least one extra baffle, make sure you take care of the speaker. A speaker is very sensative and will damage very easily, safe storage is essential. 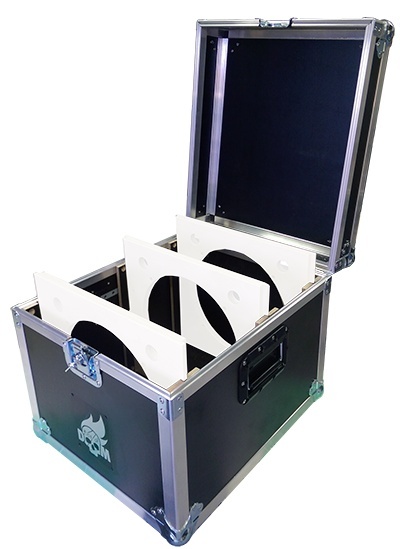 This medium size flight case is made for storing up to three Box of Doom baffles with speaker. We can also make you a carrier for more than three speakerkits, contact us for information.